You want to know why? Because I’m bringing the olive oil, herbs and fresh bread. You’ll be praising me behind my back, telling your friends about the sublime flavour of Le Tre Colonne Coratina extra virgin olive oil. And if you’re not into bread, no worries, this award winning, cold-pressed Italian olive oil tastes amazing on vegetables, fish, chicken, pasta, rice or meat. You include me and my hubby at your dinner table–with just one dish that’s blog-worthy, and I’ll provide the olive oil. 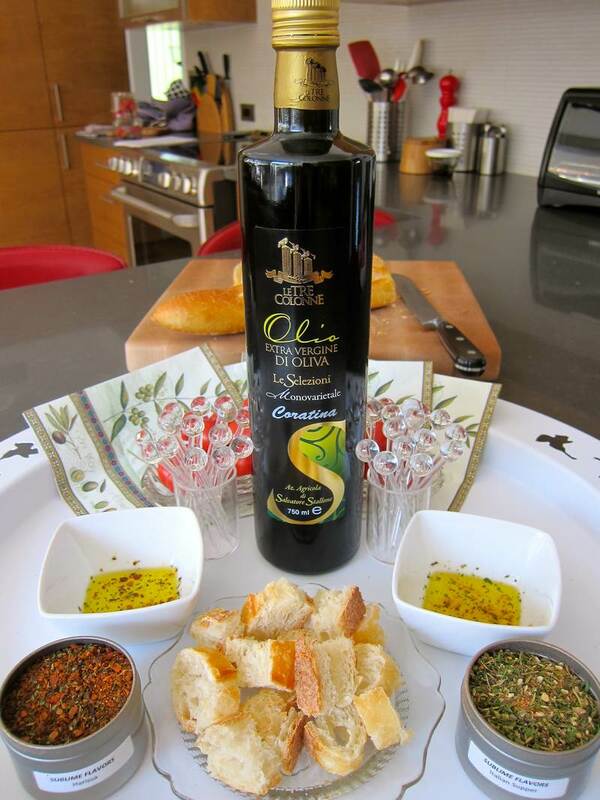 But if you are as jittery as I am, too jittery to invite us for dinner, then you don’t have to forego the olive oil. Simply visit Sublime Flavors on FB, tell them Jittery Cook sent you, and they can arrange for delivery. Add the spice blend and goat cheese to the olive oil. Marinate for 30 seconds. Dip in the bread. Good luck thinking of anything intelligent to say. You’ll be too happy to speak. Serves 1. Ridiculously simple, but so delicious you’ll have difficulty knowing when to stop. Italian Supper: oregano, basil, parsley, marjoram, rosemary, thyme, chile, onion, garlic, paprika, bay leaves, salt. Harrisa: cumin, coriander, caraway, mint, paprika, garlic, chile, lime, coriander leaves, salt. While your pasta is cooking, combine spices, garlic and 1 tablespoon of olive oil in a small frying pan, on medium-low. Cook, stirring for a few minutes until garlic begins to brown. Remove from heat and stir in the toasted pine nuts. 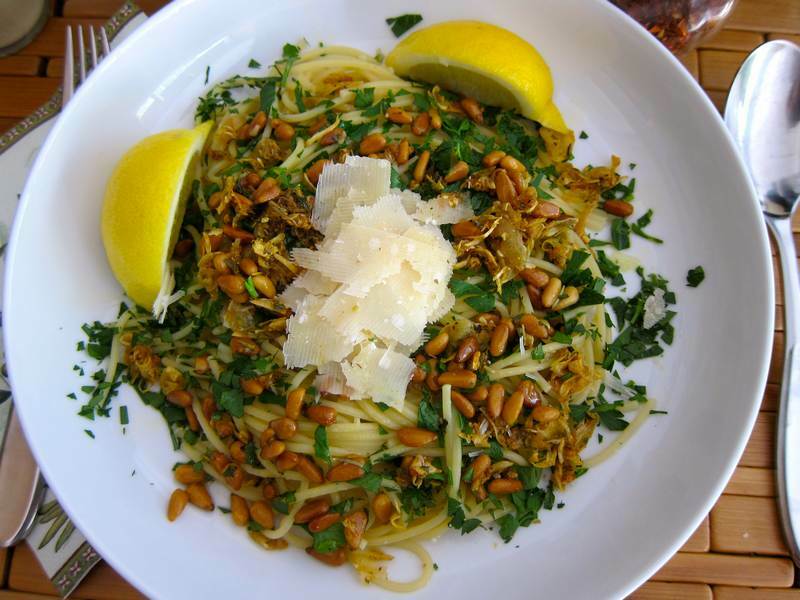 Top hot pasta with the garlic-oil mixture and drizzle on the second tablespoon of olive oil. Add parsley and cheese. Squeeze on lemon. Add pepper flakes. Toss before eating. Serve with a simple Caesar Salad. Serves 1. Look up Le Tre Colonne and their awards. Check out where they are located. Did you know that olive oil is a superfood?. 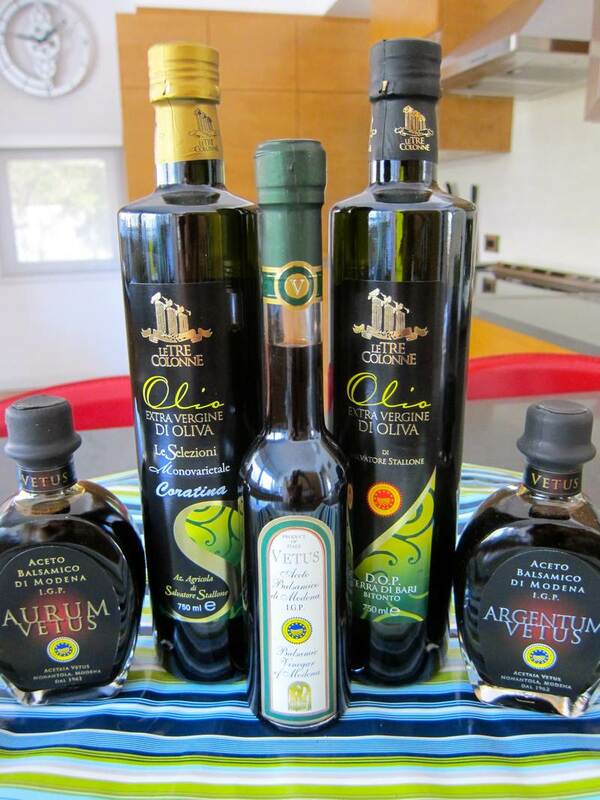 Contact [email protected], 514-951-5558 or www.sublimeflavors.com to order olive oil, spice mixtures and outstanding balsamic vinegar for Mother’s Day, Father’s Day or simply because you like really good tasting food. 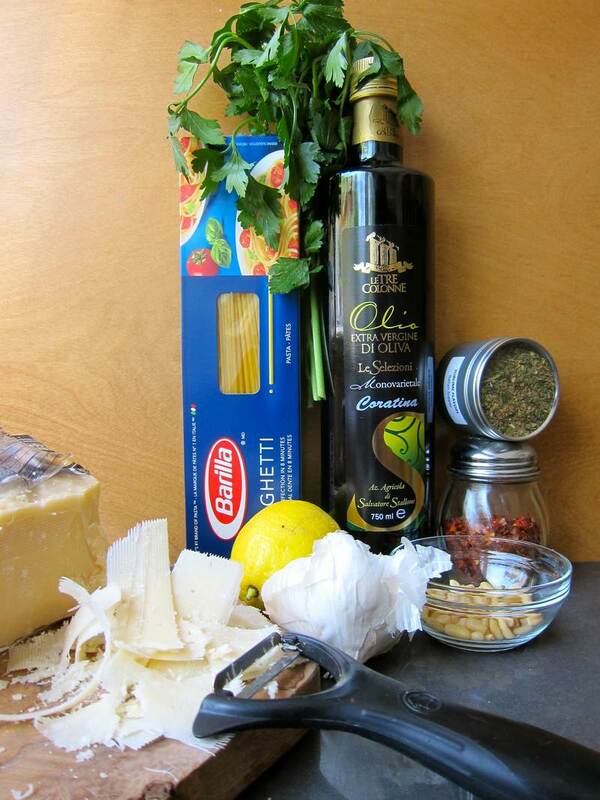 Contest Alert: To win a Sublime Flavors Olive Oil-Spice Blend Gift Set (value $45) send [email protected] your favourite recipes for sharing on the JC blog. This is right up my alley! Love it! Your pasta dish looks so good. I love the presentation. Thanks! It was fun to make a recipe for 1 for a change. We all had a taste and I’ll be working on my multiplication skills very shortly. Well, you will not overindulge with this portion size. It is ideally modest. You are on the permanent list.